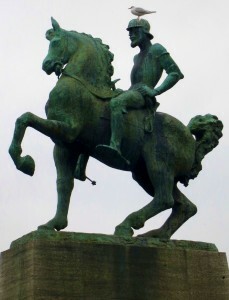 Both bird and rider have great views over the city. Let’s talk about the ‘elephant in the room’. 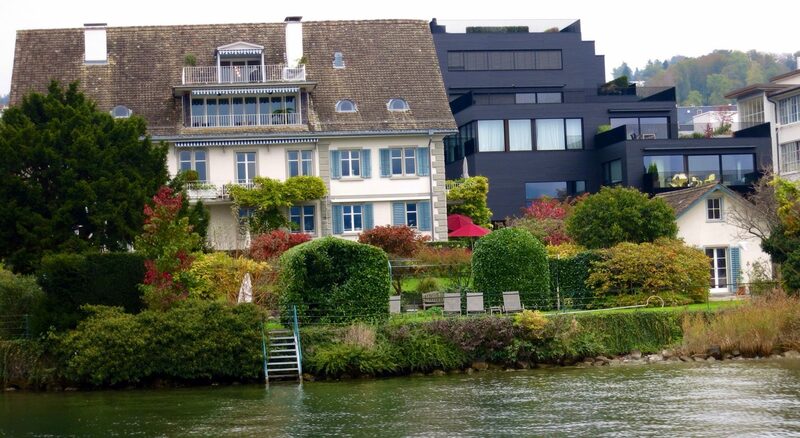 Zürich is an expensive destination and this is not surprising as it is Europe’s wealthiest city. Coffee costs between 4-6 Swiss francs (CHF) in most outlets, a Big Mac 6.50CHF, a beer 7CHF, and a five minute taxi ride to our hotel 20CHF. 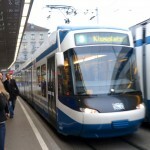 We found, however, the best way to move around Zürich was by the city’s fantastic tram system. 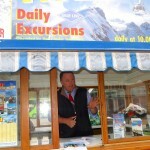 A 24 hour ticket costs a reasonable 8.60CHF. Eating out is particularly pricey, so we made some visits to the supermarket underneath the Zürich Hauptbahnhof (main train station). By the way, the crowds here are enormous as the station handles 1900 train connections a day and it is one of the busiest in Europe. 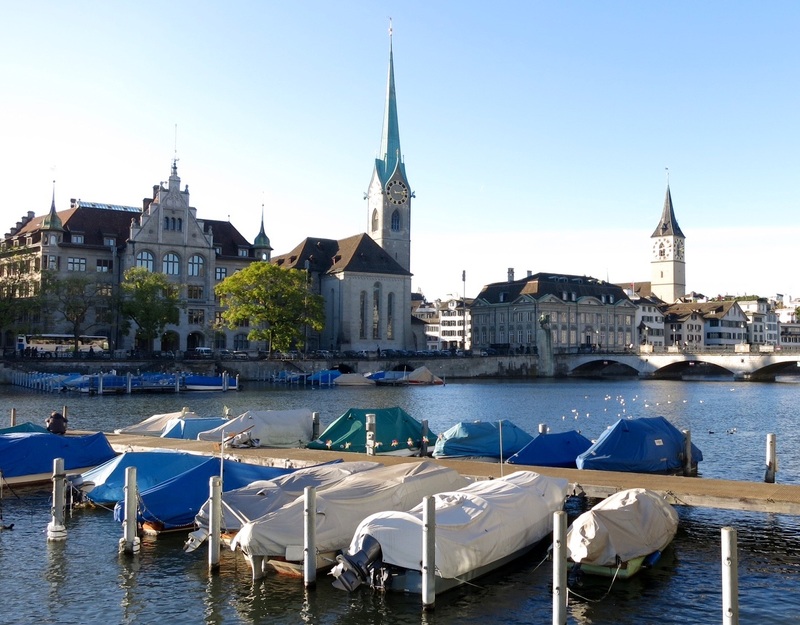 Zürich is Switzerland’s largest and gayest city and, with its 380 000 inhabitants speaking Swiss German, it is no wonder the gay scene offers a good number of small bars, saunas and cruise clubs. In June each year the Pride Festival is held and in Spring the Pink Apple Festival shows gay and lesbian films from all over the world and awards a prize to a young director. The city also elected a lesbian mayor, Corrine Mauch in 2009. The gay scene in Zürich is very friendly. 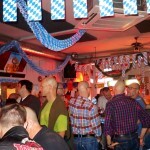 We visited Männerzone which is a bar popular with bears as well as with jeans and leather men. On that Saturday evening we were there for an Oktoberfest theme night. 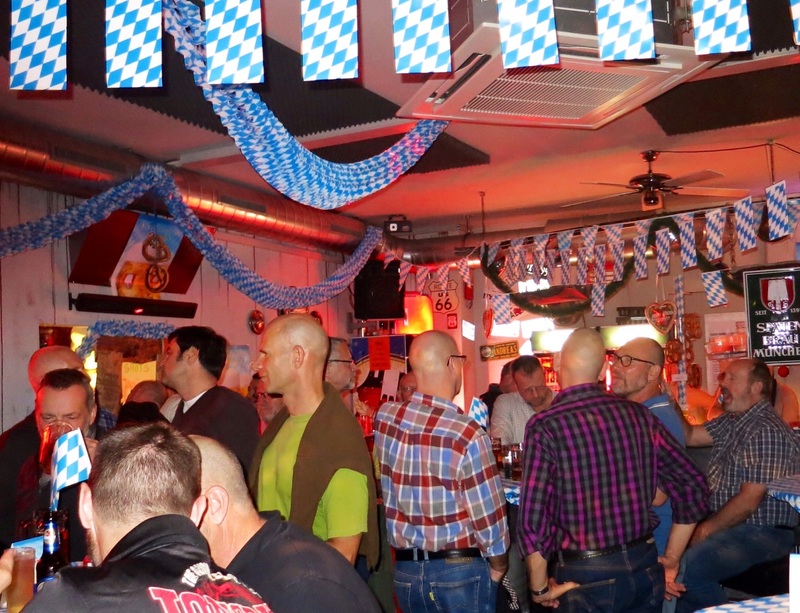 We enjoyed a few beers and sang along with the drag queen who was belting out some traditional German beer hall songs as well as some popular gay anthems. 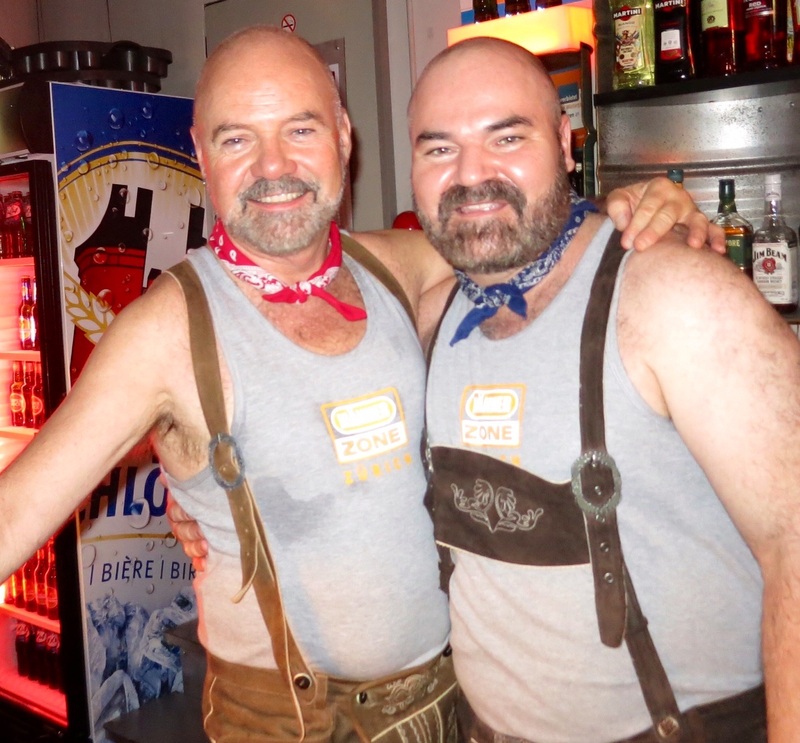 Männerzone is a very warm and cosy bar and the guys running the place make you feel extremely welcome. It’s open only on Friday and Saturday nights and the bar can be found at the back of the Männerzone leather shop. In the day time the shop is selling the full range of leather gear (and other interesting accessories). Right next door to Männerzone we found one of the busiest gay saunas in town, Renos Relax Sauna. Tip: Männerzone is located right in the heart of the red light district. We suggest you find a hotel elsewhere in the city. 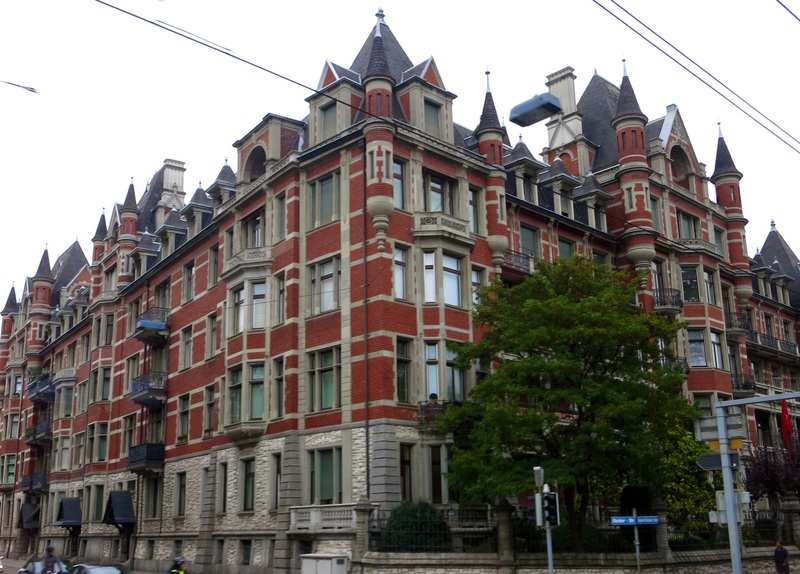 We stayed at Hotel Hottingen (www.hotelhottingen.ch) which is slightly out of the city but very conveniently located on tram line number 3 and not too far from the gay bars in the old city. 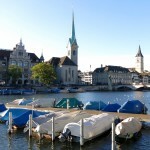 The hotel is newly renovated, very gay friendly, ultra clean and at around 120CFS a night, excellent value for Zurich. The hotel also has a well equipped kitchen with a microwave oven on each floor and a number of the smaller, reasonably priced hotel rooms (for singles) with shared facilities. 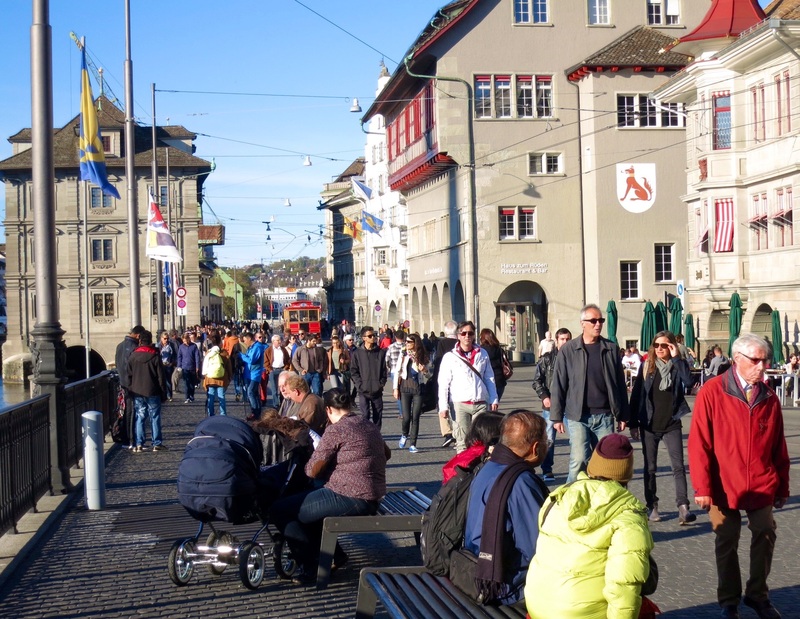 In the old town (District 1) you will find the main gay scene in Zürich where there are small bars like Cranberry Bar, fun and trendy, and Petra’s Tip Top Bar, a cute littleplace for some nostalgic merrymaking. Rage Club on the other hand is a large gay cruising club on the outskirts of Zürich. Friends told us it is well equipped with bars, labyrinths, cabins, slings, showers etc. Sector C is on the 1st floor within the Rage Club and is a separate area with strict fetish dress and alternating themes. 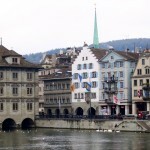 Zurich is built on the lake. 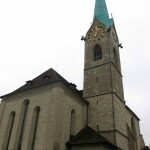 The Fraumunster with the famous and very beautiful Chagall stained glass windows. 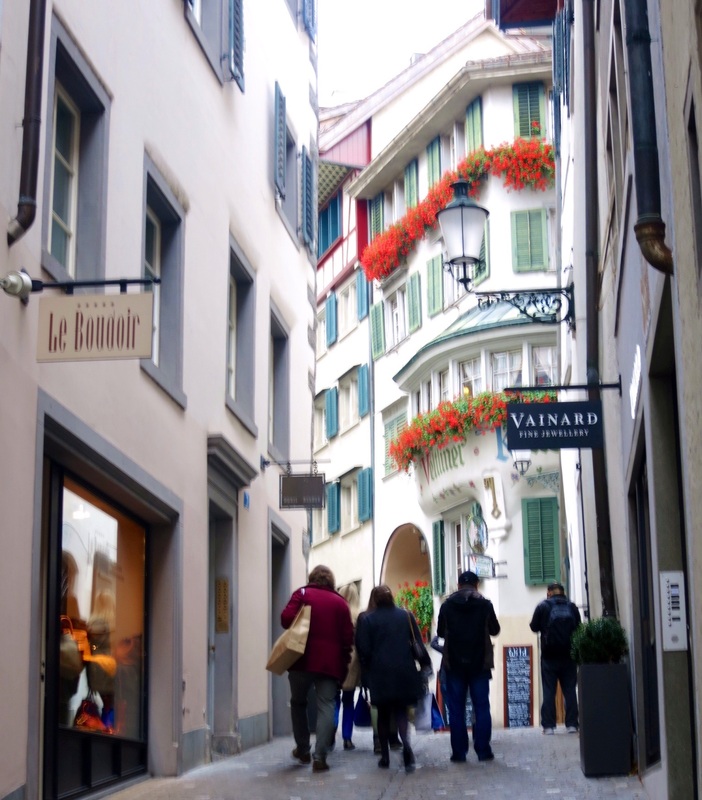 The winding streets of the old town provide great sightseeing and shopping opportunities. 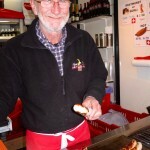 Have a bratwurst with a fresh bread roll for a quick and easy snack on the go. 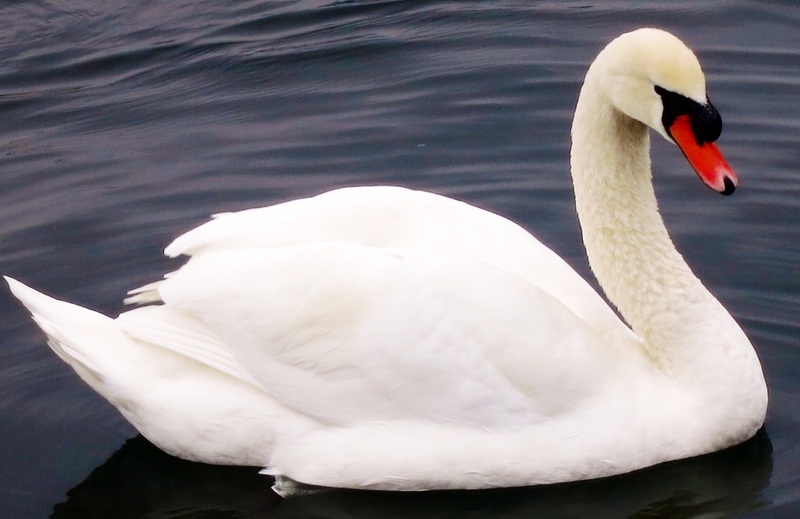 The graceful white swans are everywhere on the lake. 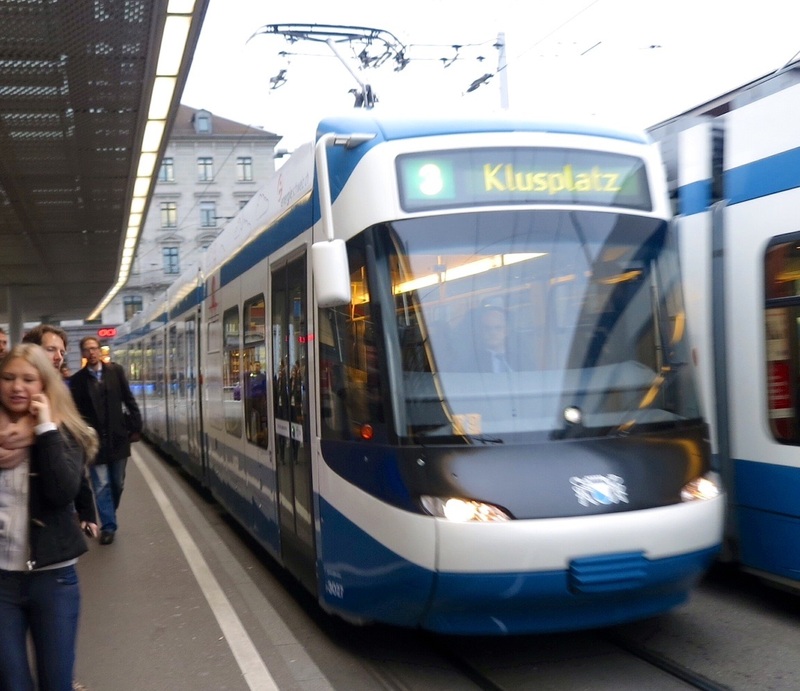 The public transport system in Zürich is very efficient. 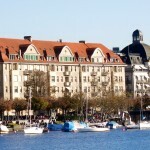 The city centre is filled with beautiful architecture wherever you go, especially the old town. 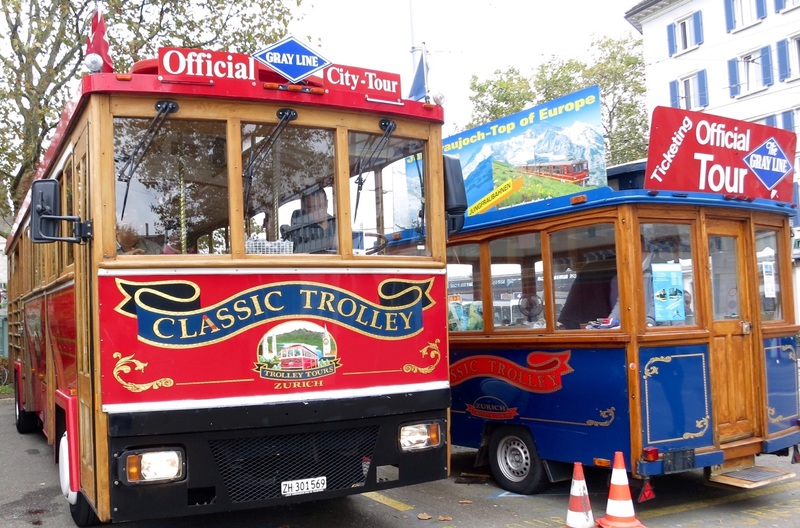 The Classic Trolley Tram is a great way to see the city sights. 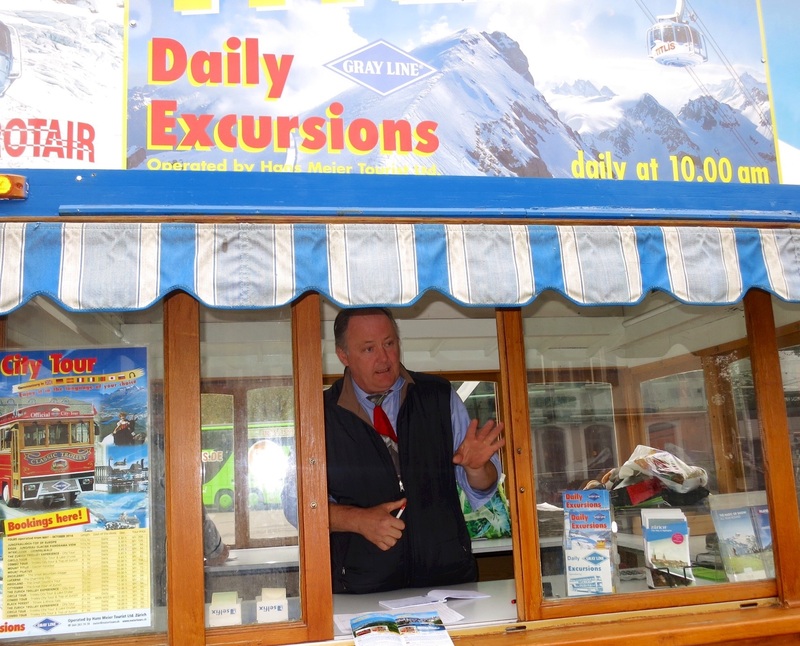 We took the red bus excursion. 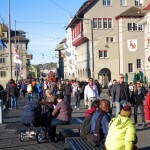 On a fine day the locals are out walking in the old town and around the banks of the lake. Boating is popular on Lake Zurich. Take a stroll lakeside on a sunny summers afternoon . 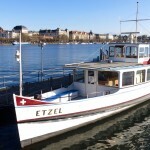 A cruise around the lake is a great way to see the outer areas of Zürich. 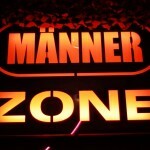 The Männerzone management make you feel very welcome. Around Octoberfest the resident drag queen will be singing beer hall songs. Manner Zone has a shop front and bar behind. 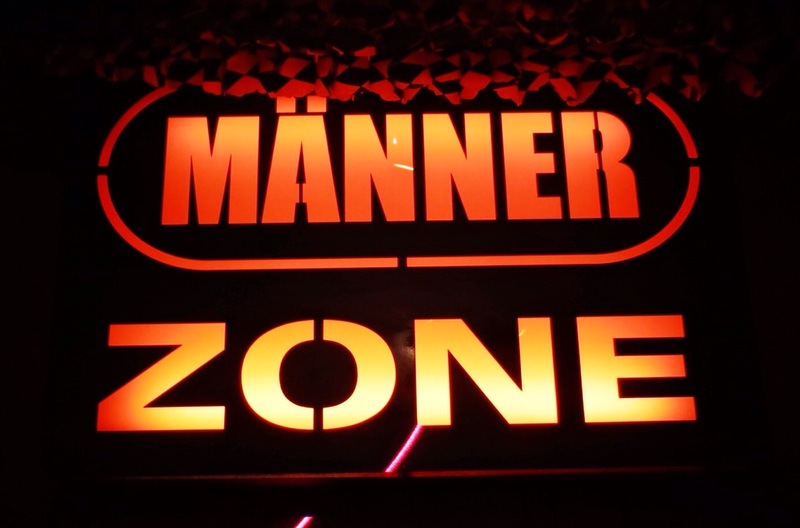 Männerzone is a cosy and friendly bar operating on a Friday and Saturday evening. 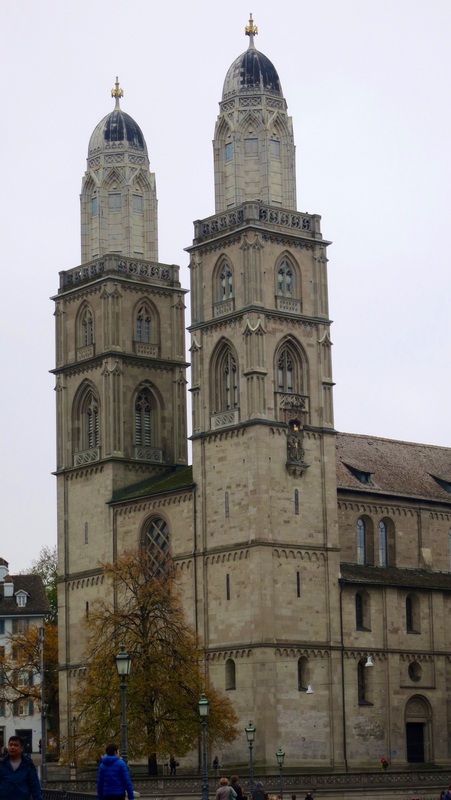 During our three day visit to Zürich we found some fine landmark buildings like the Fraumunster with it’s famous Chagall stained glass windows and the Grossmunster where the imposing two towers offer great views over Zürich. 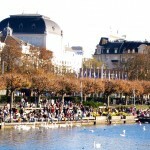 Lake Zürich is one of the city’s highlights and on a beautiful sunny Autumn day we spent a few hours wandering around the edge of the lake having coffee and watching the passing parade. 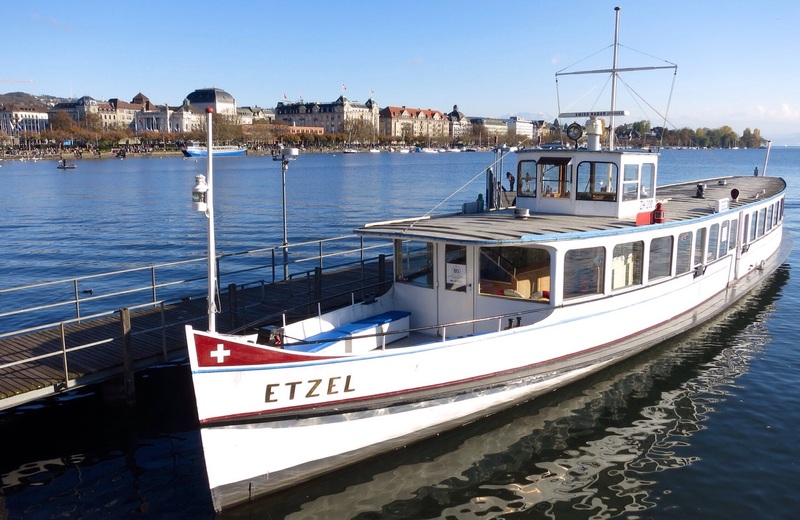 There are also cruises on Lake Zürich starting at the port of Burliplatz, which provide great views of the beautiful Swiss ‘chocolate box‘ homes hugging the edge of the lake. 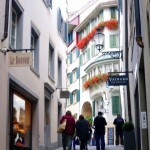 There is something for free in Zürich and that is the Free Walking Tours. They are offered daily, mostly in English. 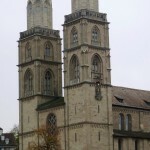 The tours weave through the old town, featuring classic sights and some important historical details. 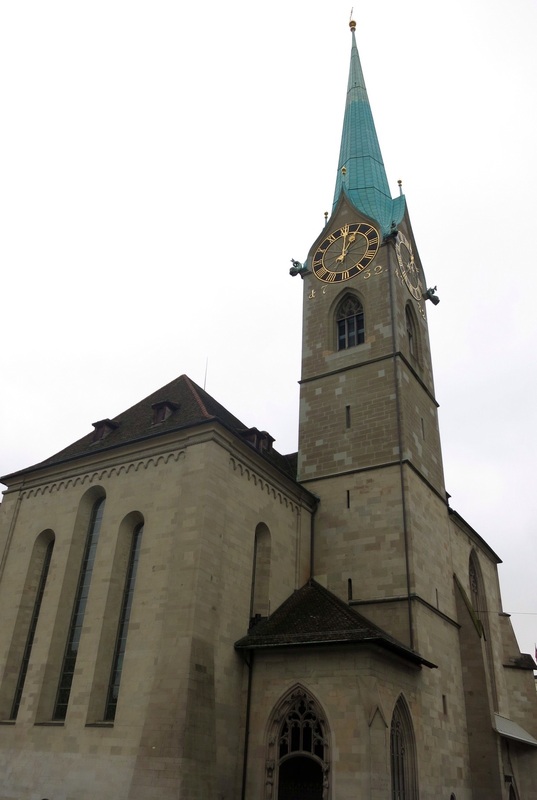 Zürich is a city of museums but unfortunately nearly all are closed on Mondays. 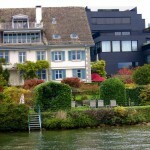 Art Dock Zürich is about saving Zürich’s arts while Kunsthaus Museum displays some of Switzerland’s finest artists. 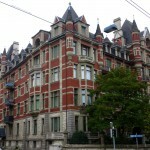 There is also the new Schaudepot (Museum of Design) where over 500 000 objects, posters and design works are displayed. 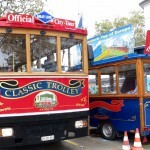 We found the Classic Trolley Tram ride around the city sights a great way of seeing most things. 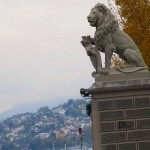 The excursion starts from the bus terminal at Silhquai and costs 34CSF and, for an extra five francs, a 90 minute tour on Lake Zürich is included. 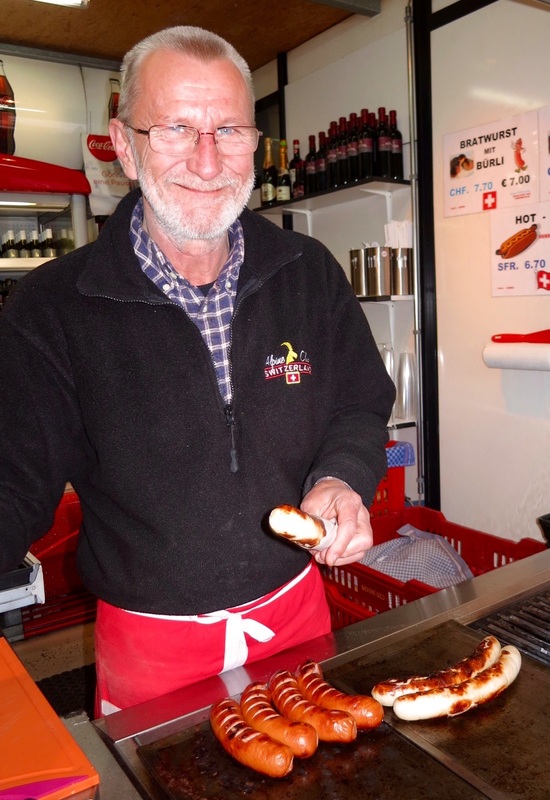 Before you leave Zürich you may want to try a Swiss favourite, fondue or a bratwurst with a fresh crusty bread roll (Zürich’s favourite fast food) which are sold just about everywhere in the city. 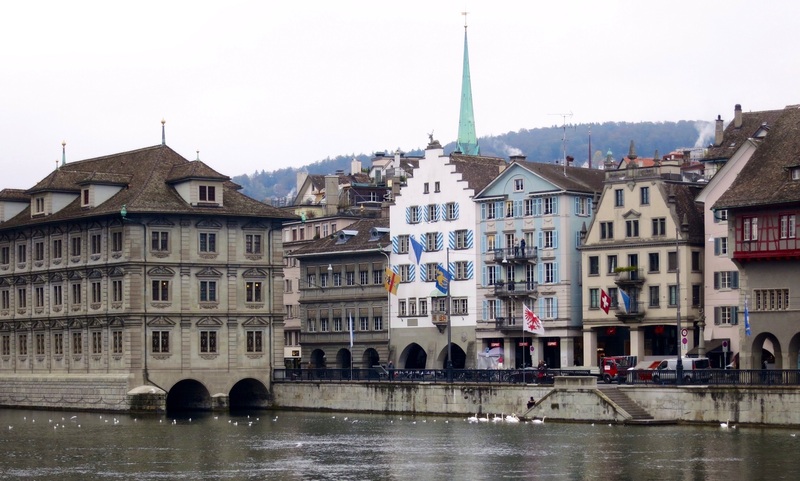 Yes, there are very good reasons to visit Zürich and we are sure once you have experienced it you will never be short for a story at your next dinner party. Glad we got the cost thing out of the road. It seems everyone, including the locals, need to talk about it.